Superbe lac dans Nordmarka, on fait du VTT! C’est dur mais ça change de la route et on est en plein nature. 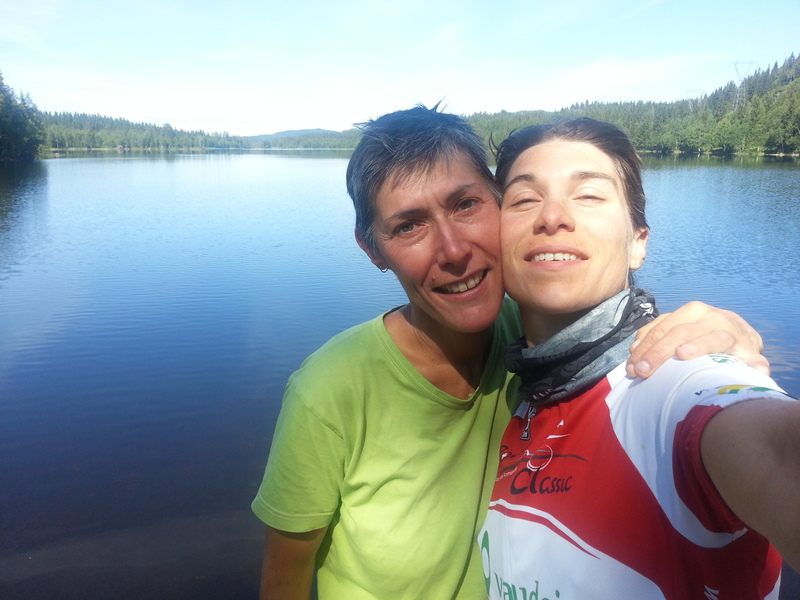 Beautiful lake in Nordmarka – we’re now biking all terrain bikes. It’s hard but it’s a nice change from the road and we’re biking in the wilderness.